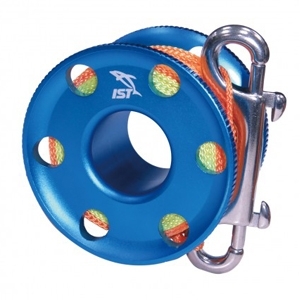 CONSTRUCTED OF TOUGH ANODISED ALUMINIUM ALLOY FOR DURABILITY. 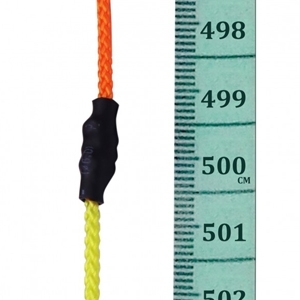 NEW FEATURE FOR 2018: The last 5m (15ft) of line is now orange in colour to act as a decompression stop reminder for divers. 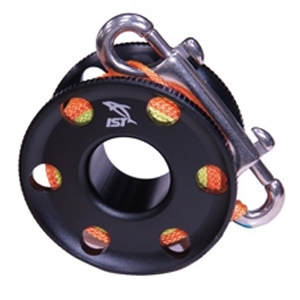 Strong cord with special braiding capable of holding onto object with maximum 80kg / 176lb (dry weight). Flared design makes for easier winding when wearing gloves. Larger center hole can accommodate thicker gloves. Supplied with 10cm (4") 304 stainless steel double clip.